The spinal ligament injury is the number one cause of pain, disability, and expense in the market today. To seriously reduce your risks, you will want to work with a doctor that fully understands this condition. Therefore, you must take this condition very seriously. I am so serious about this part. You see that patient that comes out of this type of injury with chronic pain is often going to spend a LOT of money on future medical services should they seek the help of medical professionals. The WHY here is easy to understand as spinal ligament injuries are notorious for causing chronic pain and chronic pain in America is EXPENSIVE to medically manage – as medicine is not great at managing this particular problem (chronic musculoskeletal problems), unless of course the idea of expensive addictive drugs it what you are looking for. Look at this research that shows just how many people come out with chronic pain from a most common injury mechanism, the auto collision. In one of the longest studies ever performed on whiplash-injured patients looked at the health status of those same patients 17 years after their injury. 55% of the patients still suffered from pain caused by the original trauma. This research implies that no matter what doctors did that treated these patients, 55% of the them had the same problem 17 years later! Do not become a statistic by working with a doctor that does not specialize in the rehabilitation of these spinal ligament injuries! Don let anyone you know or care about become a statistic as well. When a doctor does not understand, or cannot find the physical cause (diagnosis) of a patient’s condition, or the symptoms don’t add up to what they are used to seeing then the doctor may begin to believe that the condition is just in the patient’s head. I will give you an example from the list of common symptoms that are associated with a spinal ligament injury as listed above and tell me if you cannot see this happening with a doctor that does not know how to diagnose this condition. Remember these same doctors could not tell you the common symptoms of this condition which makes it hard to get an accurate diagnosis, as diagnosis is just working backwards from the patients presented symptoms to finding the physical cause. So, Mary goes to her regular doctor after being in an auto accident last week. When she sits down with her doctor she reports that her left ear has some pain in it, it seems that she has some ringing in her ears that is more pronounced at night, and she seems to be forgetting things, has some difficulty concentrating and she seems to have some neck pain that comes and goes and she has noticed that she is getting some headaches, when she used to never have them before. Trust me when I tell you – in my experience the first thing the doctor is thinking is Mary is just too sensitive and this may all be in her head. Check out the symptom list and you find that all of Mary’s symptoms in this example are associated with a normal everyday spinal ligament injury, which is usually easy to treat if caught early. Instead Mary’s doctor again thinking this is a bit of a head case, may ask Mary such questions as, “has there been and recent major changes in your life or any stresses that are new”? Where do you think that line of questions is going? Some of you may have experienced this in the past and know exactly what I mean. Some of you know friends or family that have walked out of a medical visit like this one described above and are now on some form of Psychotropic drug! If you or someone that you know has had this experience, this book is a great start to understanding how these drugs are used. Now here is the good news, or bad I guess depending on how you look at it. Research tells us it is not in your head, but more likely in your doctor’s inability to diagnose a simple ligament injury. A study found that essentially 100% of those who are suffering from chronic pain caused by a whiplash injury will have an abnormal psychological profile with standard assessments. The only way to resolve the abnormal psychological profile was to successfully treat the chronic spinal pain; psychotherapy was not able to improve the abnormal psychological profile nor was it able to improve the patient’s chronic pain complaint. Thus, your pain is not being caused by the abnormal psychological profile; rather the pain is causing the abnormal psychological profile. If your doctor seems to be indicating that it is “all in your head,” then perhaps it is time to get a second opinion or change doctors. The physical issues of spinal ligament injury are most heavily documented in cases of whiplash, although a ligament injury can occur from many mechanisms in many different environments: work, home, sports, etc. The mechanism of injury from an auto accident is very well studied because we carry insurance to cover our injuries and the injuries that we may cause others. It has been so heavily studied because there is a lot of money at stake! In May of 2015, the National Highway Traffic Safety Administration put out a report that looks at trends in highway accidents. It then provides the American taxpayers a report of their findings. In 2010, there were 32,999 people killed, 3.9 million were injured, and 24 million vehicles were damaged in motor vehicle crashes in the United States. The economic costs of these crashes totaled $242 billion… In Appendix A… The results indicate a feasible range of societal harm from motor vehicle crashes from $546 billion to $1.12 trillion in 2010, with lost quality-of-life accounting for between roughly half and three-quarters of all societal harm respectively. That’s a lot of money at stake, which is why this is such a heavily studied injury. As listed in the study, nearly 4 million people a year are injured in automobile accidents. From our research above if you take this condition lightly, over 2 million of you are going to be chronically suffering with the same problems 17 years later! This means that that the pain is now classified as chronic, which is defined by any condition that persists for more than three months. To be clear, this means that over 2 million people develop chronic conditions from this one mechanism—EVERY YEAR! Injury is the primary cause of chronic pain, and chronic pain is a serious problem today. Per the National Institute of Health Report, in 2014 over 100 million American Adults suffered from chronic pain , and according to the Mayday Fund over 20% of Adolescents suffer from it. 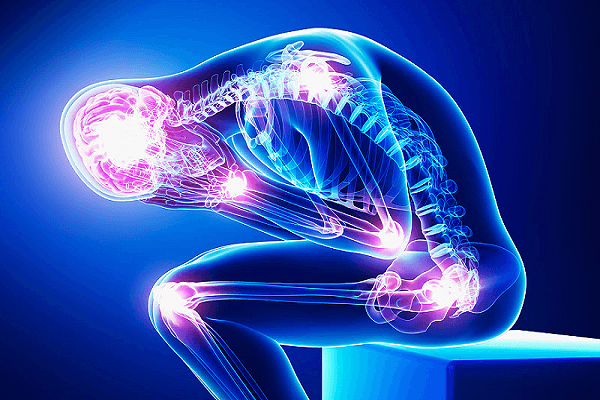 There is no bigger health problem in the world today than chronic pain. At American Spinal Injury & Impairment Consultants, we believe the world deserves better solutions… starting with your doctor. It is important to understand this. To get out from the 55% you must find a doctor that can help you as quickly as possible. So, if you want to look further at studies that show just how poor doctors’ results are with patients that have been treated for these injuries, please watch Whiplash Statistics Don’t Lie on YouTube (https://www.youtube.com/watch?v=st5bwC411VU). This is published by one of the top Spinal Ligament Injury Testing Companies in the United States called Spinal Kinetics (www.TheSpinalKinetics.com) Spinal Kinetics in the leader in the testing procedure that allows doctors to accurately determine the severity and location of spinal ligament damage. Now let’s talk about costs – your costs – and why it is so necessary to stay out of the money pit caused by chronic pain. Chronic pain and its caustic expenses can leave you quite poor! Medical treatment for chronic low back pain is estimated to cost $9,000 to $19,000 per patient annually, and interventional treatments cost a minimum of $13 billion in 1990. Additional costs are associated with days lost from work due to low back pain. Low back pain is the most common cause for chronic or permanent impairment in U.S. adults under the age of 65, and the most common cause of activity limitations in persons under the age of 45. In another recent study on chronic pain published in the Journal of Pain, the average American can spend more than $12,000.00 per year in additional medical expenses treating their chronic pain. After 10 years that is $120,000.00, which is a lot of deductible and copay expenses. This is BIG, BIG business and we want to keep you out of this expensive money pit! Therefore, it is so important to choose your doctor wisely. Your health and your future finances can severely depend on it!